L-3 National Security Solutions announced March 18 that it has appointed retired U.S. Air Force Lt. Gen. Michael J. Basla as Senior Vice President of strategic development. Basla, who retired from the Air Force on Nov. 1, 2014, previously served as the Chief of Information Dominance and Chief Information Officer (CIO) for the Office of the Secretary of the Air Force. In his new role, Basla will provide strategic insight and rapid solutions development to national security customers in the areas of cyber, intelligence and information technology. As CIO, Basla was responsible for integrating Air Force warfighting and mission support capabilities in air, space and cyberspace. 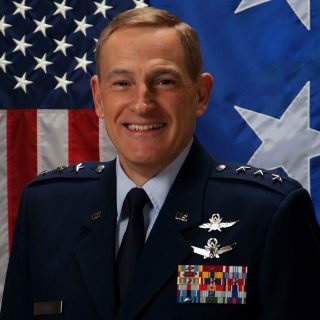 He previously served as Vice Commander, Air Force Space Command at Peterson Air Force Base, Colo.
Basla has served in five operational communications units, with joint experience, having served as Director of C4 Systems, Joint Task Force Southwest Asia in Saudi Arabia. In 2005, he received the Eugene M. Zuckert Award for his outstanding management achievements. Basla earned a Master of Science in teleprocessing science from the Air Force Institute of Technology, a Master of Science in national resource strategy from the Dwight D. Eisenhower School for National Security and Resource Strategy (formally the Industrial College of the Armed Forces) and a Master of Arts in national security and strategic studies from the Naval War College. He earned a Bachelor of Science in mathematics from the University of New York, Albany. Previous ArticleSalient Federal Solutions to Open Office in Pensacola, Fla.